How we can help you get better? How often you should visit our office for therapy? What the treatment will cost you? After reviewing your history, goals, X-rays, and spine alignment, the doctor will discuss recommendations and notify you if your condition requires care with other providers. Overall, the doctor will provide the best treatment and wellness program for your individual needs. During the next few appointments, the doctor will suggest a wellness program to incorporate outside of treatment. This may include: ice or heat application, certain activities or positions to avoid, and home exercises stretches. If you desire, our wellness team will work with you to create healthy habits and routines for your lifestyle. Every person is unique; therefore, everyone requires a customized wellness plan. The purpose of our program is for you to achieve proper spinal alignment, eat a healthy diet, exercise regularly, and maintain a positive mental state. During the correction/restorative phase of your care, you will not have to receive adjustments as often as you did during the first phase. Depending on your particular circumstances, you may begin doing exercises and stretches either at the center or at home to help accelerate your healing. 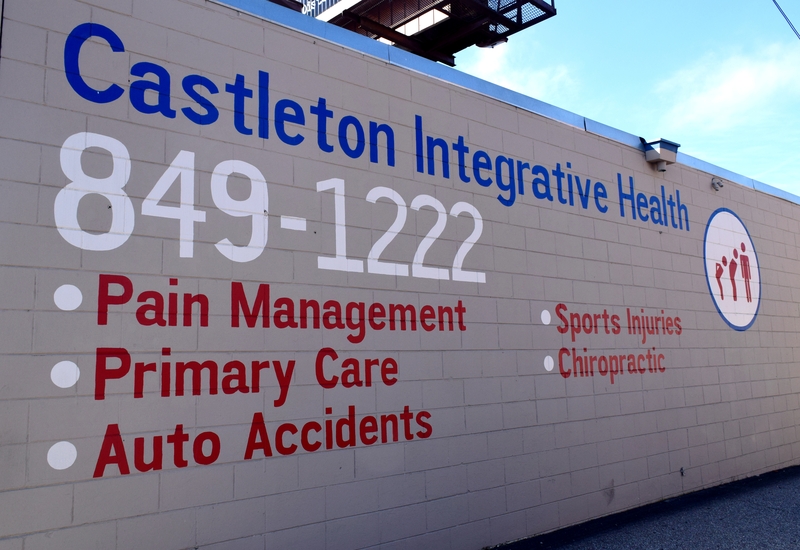 If you and the doctor think you need supplementary treatments, the Nurse Practitioner can provide cortisone injections to the shoulder, knee, wrist, elbow, etc. as well as trigger point injections. Most chiropractors regard the persistence of patient therapy as the hardest step in health wellness. If treatment stops at reducing the pain, the chances of the condition recurring are much greater. In order to prevent a rapid recurrence of your symptoms it is necessary to continue receiving care even though your symptoms are gone. Do not be discouraged if you have mild flare-ups in your symptoms on occasion. This is normal. Flare-ups are bound to occur during this phase because your body has not fully healed. Depending on factors such as severity of your injury/condition and how long you have been suffering from it, this phase of your care may last anywhere from a few months to a couple of years.